Eat shrimp: check. Sleep shrimp: check. Now. Who's gonna make a way to breathe shrimp? 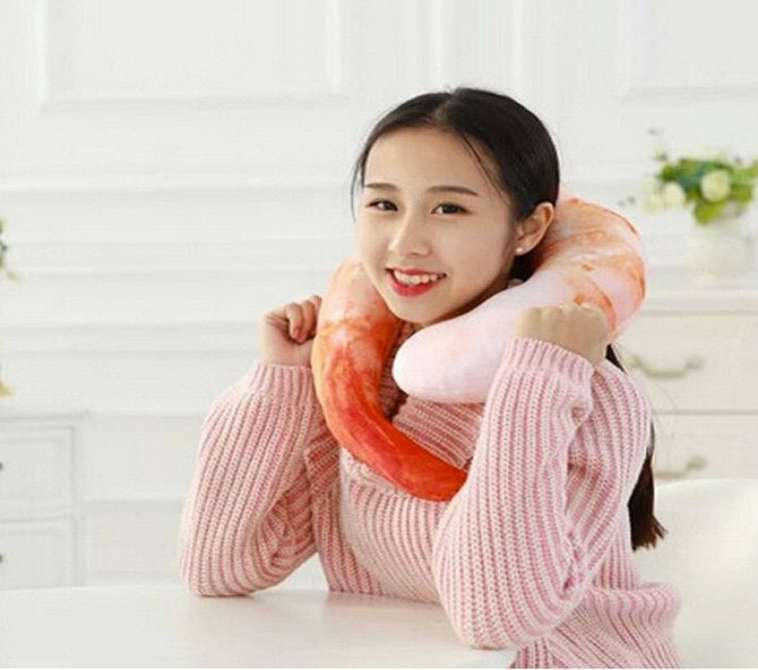 The Jumbo Shrimp Neck pillow, curled and cooked to orange perfection, gives shellfish lovers a welcome place to rest their weary heads while traveling, or when the 3 p.m. yawns hit at work. 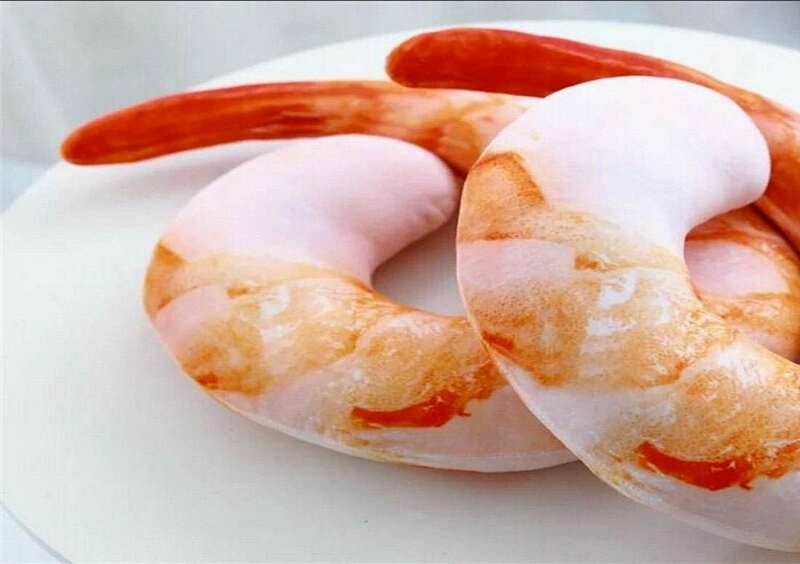 Though authentic in appearance, those who bought the supersized shrimp note that its texture, scent, and flavor do not match that of the real thing. Wamp, wamp, sorry kids. 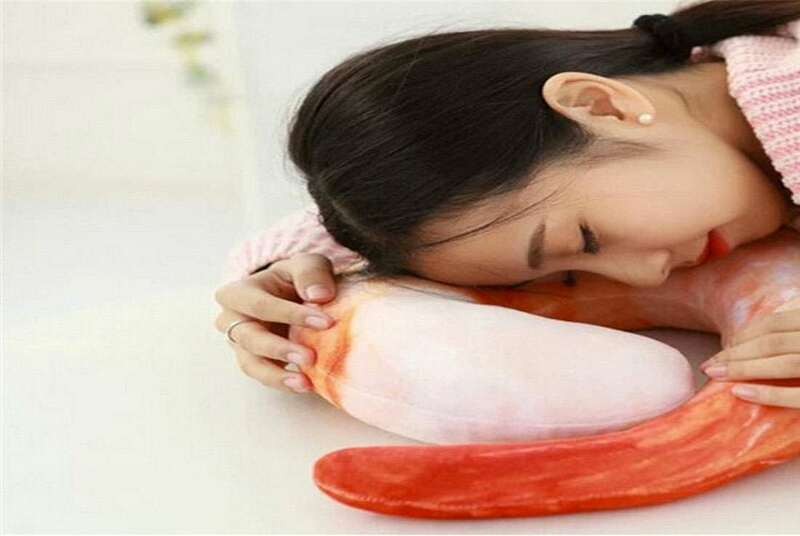 The pillow is made of PP cotton, and reportedly very soft. 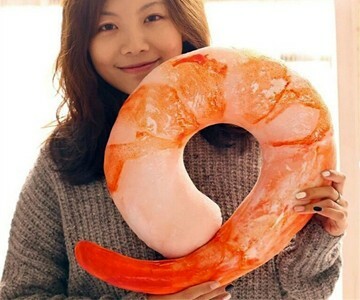 Some wish the jumbo shrimp were a little more jumbo, but as a novelty gift, it serves its purpose well.